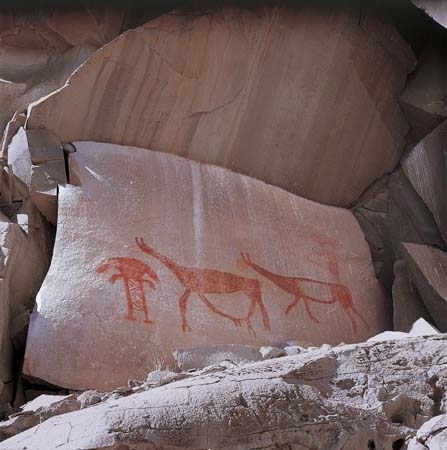 Rock art is one of the most ancient symbolic expressions that has survived to the present day. The earliest works have been dated as far back as forty thousand years ago and are associated with the migration of modern humans to different parts of the world. 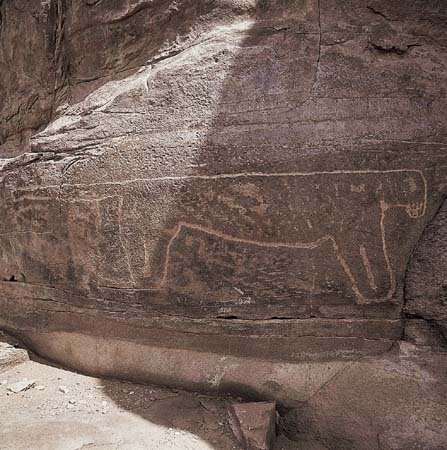 Indeed, rock art has been found on all continents except Antarctica. 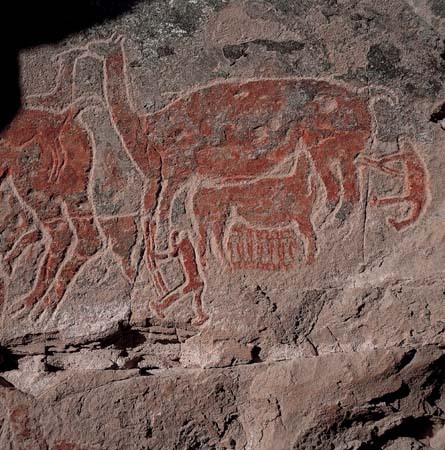 In the Americas, the earliest examples of rock art are thought to be more than 10,000 years old. 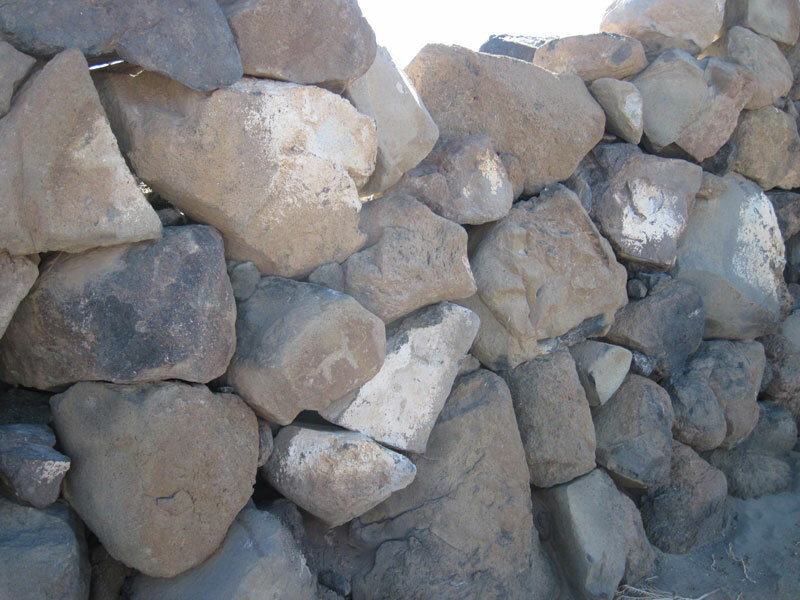 These early works and later ones have been found in all regions inhabited by human cultures on both the mainland and islands of the Americas. 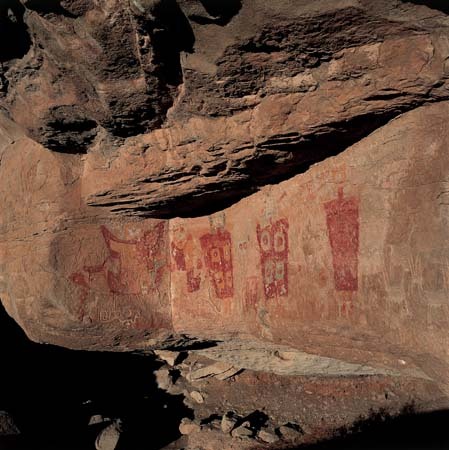 While rock art works continued to be created in historic times (particularly in Meso-America, the Andean region and the Southern Andes region) image 2 and even in modern times (most notably in the Amazon basin and in the Andes), the practice virtually disappeared after first contact with Europeans, long before the first professional ethnographers arrived to begin documenting these works. With the disappearance of the artists, most knowledge of the meaning and function of these interesting graphic expressions, including the technologies that were used to create them, was lost forever. 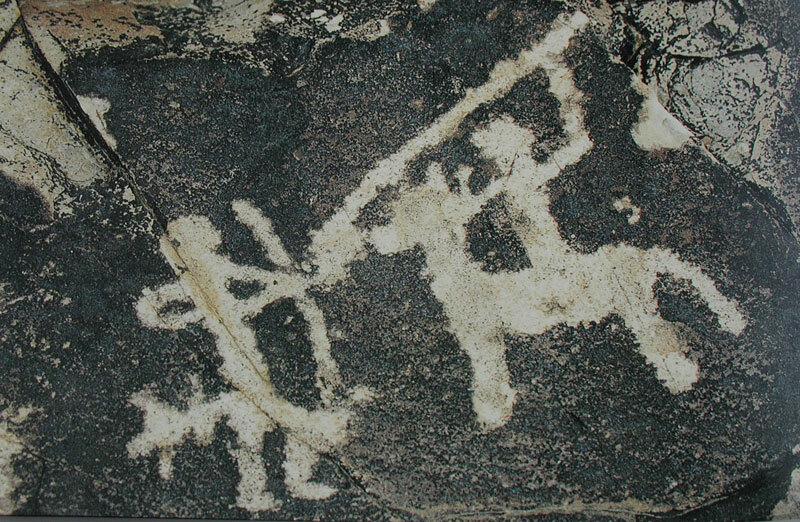 For the past one hundred and fifty years, however, studies undertaken by archaeologists and other experts around the globe have been able to draw inferences regarding rock art techniques and have identified at least three basic types of rock art: petroglyphs, pictographs and geoglyphs.